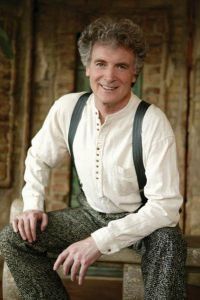 Irish storyteller Tomaseen Foley brings to life Ireland’s cultural heritage at 7:30 p.m., Friday, March 10 at Pensacola State College’s Ashmore Auditorium, Building 8, on the Pensacola campus. Along with Celtic musicians, singers and dancers, Foley revisits the memories of traditional Irish gatherings at weddings, wakes and solstice celebrations. Using instruments like uilleann pipes, fiddles, tin whistles and flutes, the professional troupe produces a rousing evening of fiery music, stirring ballads, foot-stomping dances and, of course, stories. Called the Garrison Keillor of Ireland, Foley grew up on a small farm in the remote parish of Teampall an Ghleanntáin in the 1950s.